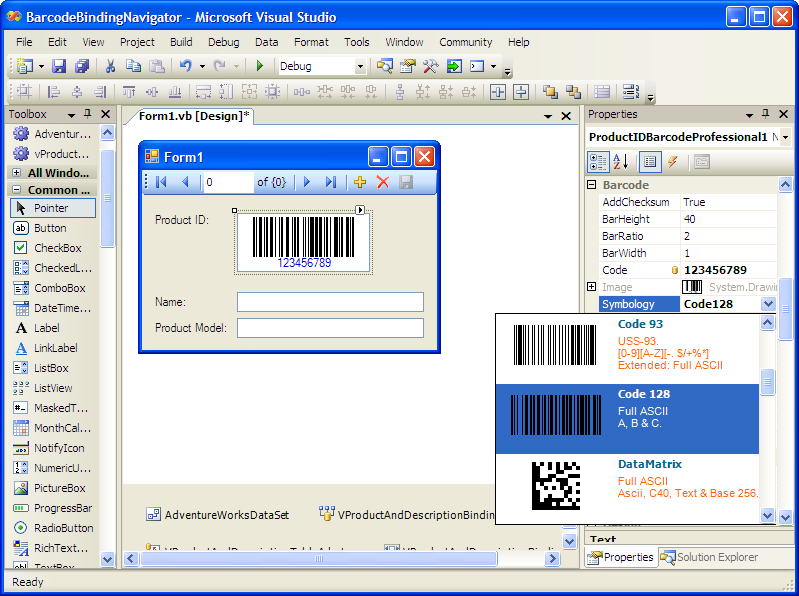 Barcode for .NET Compact Framework. Linear/2D Symbologies. Pocket PC, Smartphone, Windows CE.NET and Windows Mobile support. Save barcode images in image files and in stream objects. Data Binding. 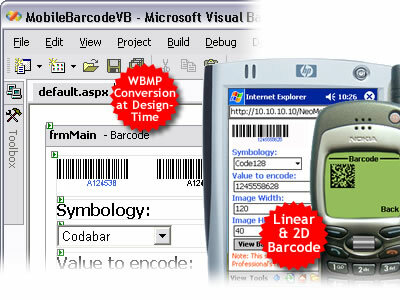 Barcode Professional is easy to use; does not require any special or complex configurations; supports BMP, PNG, JPEG, and GIF barcode generation; and provides full design-time support for Microsoft Visual Studio. 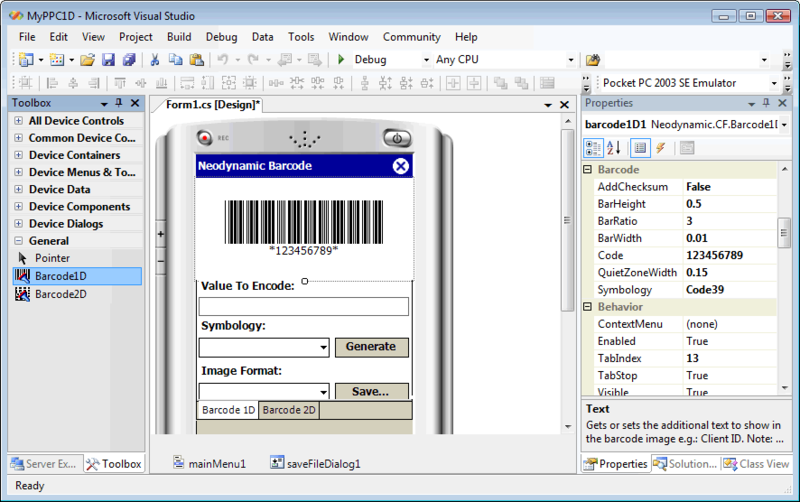 Barcode SDK for .NET. Linear, Postal, MICR and 2D Symbologies. Crystal Reports .NET Support. Transparent background support. 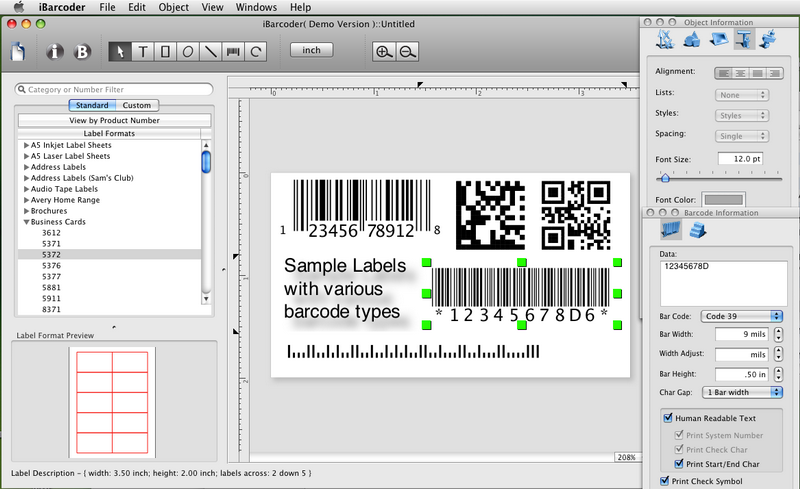 Save barcode images in image files as well as in stream objects. Simple configurations. Visual Studio, Express Editions. Draw barcode images onto any Graphics object. High Quality barcode printing. Support for Binary, SOAP and XML Serialization. ReportViewer RDLC support. BMP, GIF, PNG, JPEG, TIFF, EMF, EPS. Barcode creator, QR code and Datamatrix generator. 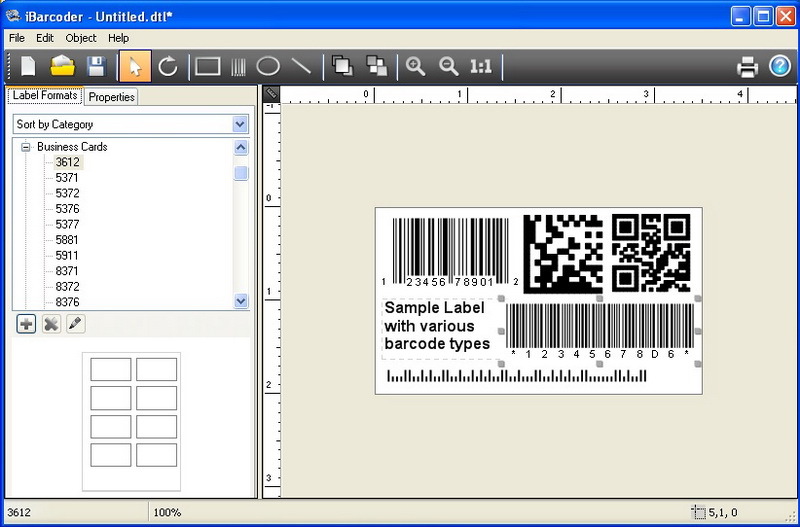 Create, print and export barcodes as vector graphics, or high resolution images. Print barcodes on Avery label templates, or make custom formats. Add text and graphics. Barcode types supported: Postnet, Japanpost, FIM Codes, UPC, EAN, ISBN, ISSN, Code 128, Codabar, ITF14, Code 39, Code 11, Code 93, MSI, Interleaved 2 of 5, Datamatrix, Intelligent Mail, Pharmacode and QR Code.